Qutools’ science kits are designed for educational purposes. The quED is an entanglement demonstrator with a source for single and entangled photon pairs. With its add-ons multiple quantum experiments can be conducted. 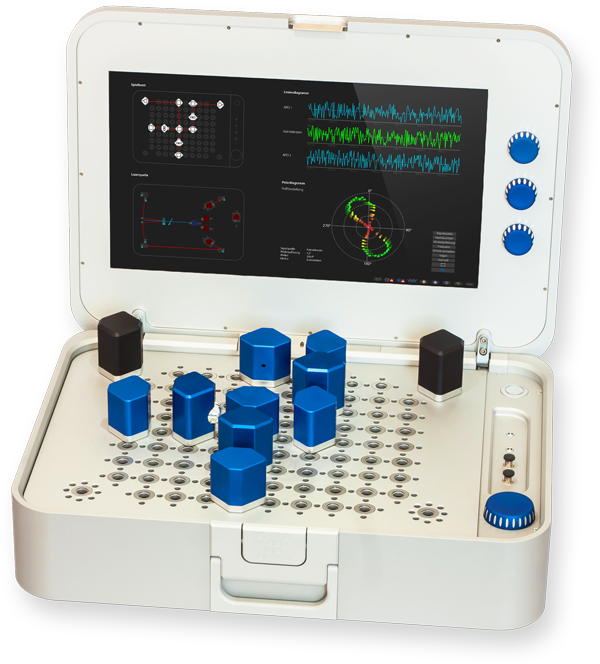 Our Quantenkoffer is a plug and play quantum science kit for schools and universities with single and entangled photon pairs. Multiple tokens with different optical abilities give a huge variety of experiments. The quNV is a setup for quantum sensing by a diamond magnetometer based on nitrogen-vacancy (NV) centers. Discover the world of quantum physics with spin manipulation or even single qubits!